The ibis Apartadó hotel is located in the south of the city near restaurants and shopping malls, 11.2 miles (18 km) from Antonio Roldán Betancourt Airport and just 547 yards (500 m) from the transport terminal, making it ideal for your business trip. The hotel can be accessed from Calle 100, the main road through the Colombian Caribbean. The hotel has air conditioning, free WIFI, a restaurant, car park, 24-hour bar and modern rooms with the comfortable Sweet Bed. Dogs up to 33 lb (15 kg) are welcome. 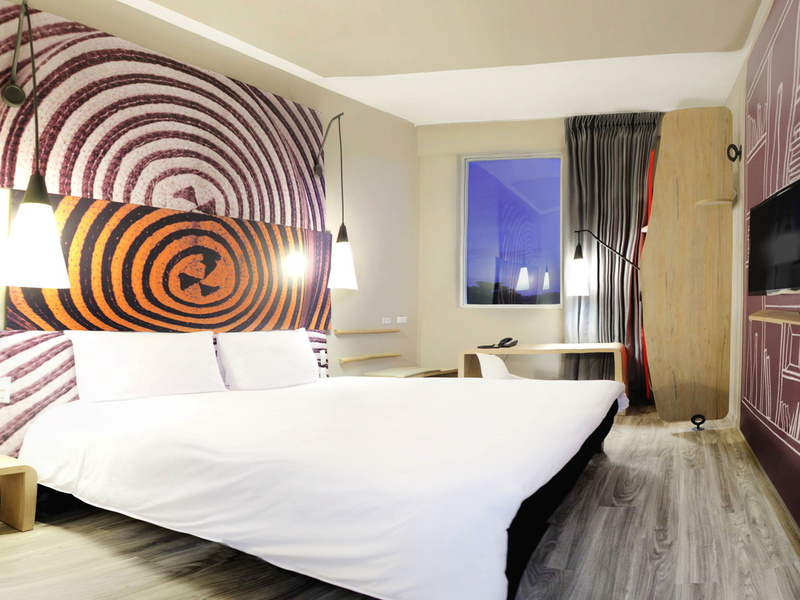 Modern and inviting, the new ibis room with Sweet Bed has everything you need: large bathroom, modern decor, queen-size bed, Internet and a flat-screen TV with the best international channels.